We are proud to announce that we have been awarded the ‘Best Business Development Partner’ by Nuance Healthcare. 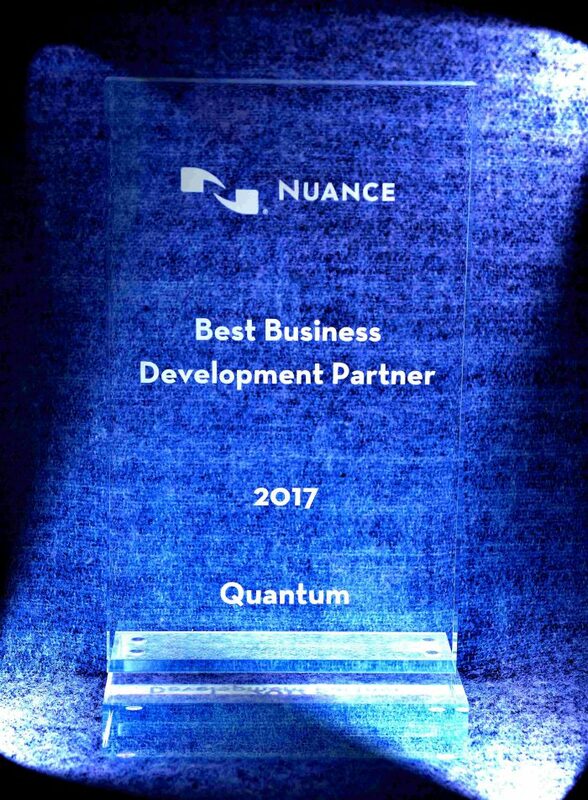 – Quantum Ltd.
We are proud to announce that we have been awarded the ‘Best Business Development Partner’ by Nuance Healthcare during the Global Partner Event held in Barcelona, Spain, on March 2017. The award is a recognition of our contribution in developing the voice recognition systems.